Company Set Up allows you to enable or disable features and customize QuickBooks Online around your company needs and your personal working style. 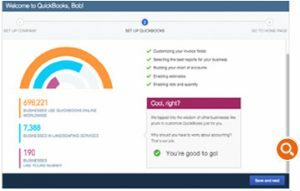 In this QuickGuide, we’ll walk through the basic steps you need to complete to get started with QuickBooks Online. In other guides, we’ll take you through additional settings that enable more advanced features and options.